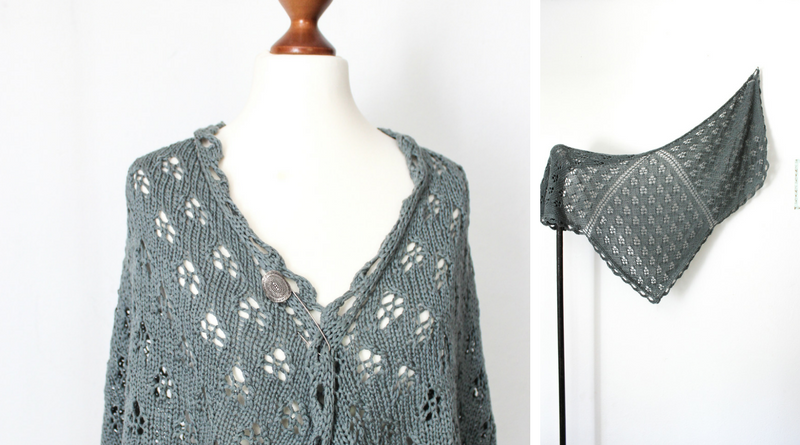 I’m happy to announce my latest shawl pattern release: the Bird of Prey shawl. A bird of prey or predatory bird, also known as raptors, refers to several species of birds that hunt and feed on rodents and other small animals. The term raptor is derived from the Latin word rapere, meaning to seize or take by force. These birds are characterized by keen vision that allows them to detect their prey during flight and powerful talons and beaks. The type of Bird of Prey I am referring to here was first seen in the Star Trek: Enterprise episode “The Expanse”. 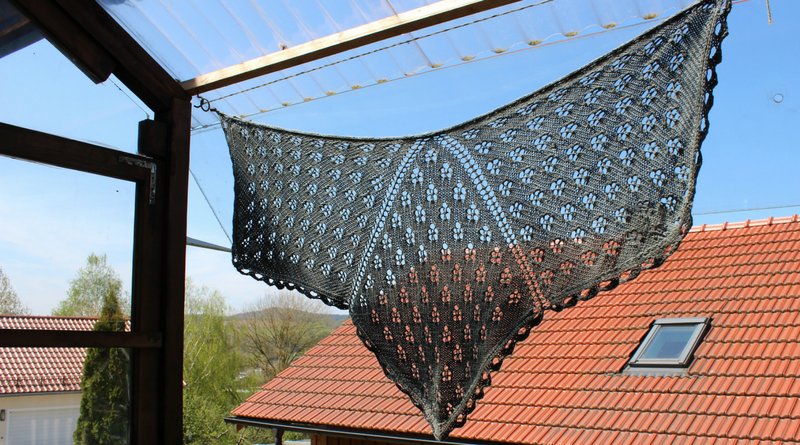 Always on the look for new shawl shapes I altered a star segment shawl recently. When I looked at what I just created I immediately thought of Klingon spacecrafts. To celebrate the release of this pattern you can download it for 20% off using the coupon code BIRDSOFPREY on or before June 9th, 2017. The code is valid both here in the shop and on Ravelry.